Obviously disappointing news. DeSclafani struggled with a similar injury in 2016. Reds at Seattle: But how will they play in Peoria? Cue everyone throwing out their favorite young pitcher who is the “obvious” replacement. Sad face. Both Disco and the team deserve a better break after last year. Obliques always seems to last longer than initial projections. These injuries last forever,last thing the Reds need is this.When this guy has been healthy heÃ¢â‚¬â„¢s been a true number one starter. RIght now, this is a manageable situation, if it is managed. The depth of the starting pitching options makes this manageable. Place Disco on the 60-day DL now. Don’t fool around with an oblique injury. I’m not sure the 60-day right away is needed, especially since you can always increase DL time retroactively. That said, you’re absolutely right – we shouldn’t mess around with an oblique…better safe than sorry! Adding to that, we’re not chasing the Series this year and we need to see some of the young guys, so let’s stay the course for the rebuild and use this as a positive as much as losing a top pitcher can be. “The depth of the starting pitching options makes this manageable.” It’s been quite some time since we could say that! Injuries happen to pitchers. This just shows that the Reds plan of hope for health is not always a great idea when said pitchers are often injured. Finnegan out after 2 batters..
Mahle and Lorenzen in the hole. Finnegan has gained 25 pounds+. Yeah…..x he’s owed $50 million. Are you buying him out? Lorenzen is now scripted 6th starter out of the bullpen. He pitches 3-5 innings long relief out of the bullpen every 3-5 days in April. Mahle is #1 Louisville waiting for the call. Get ready Amir and Tyler. Sure looks like we will need ya. Thats too bad….they really needed Disco to be a stalwart to have any chance to surprise this year. Way too many question marks. Here we go again. At least the team is better situated to withstand another barrage of injuries. The DeSclafani news hurts. The Finnegan news may be a blessing in disguise. It gets Romano in with Garrett. And now Stephenson gets an extended chance. I don’t relish 4 rookies in the rotation, but they do have some experience. Just my uneducated opinion, but I don’t see that one aging particularly well for the Phil’s. 3-year deal is about as safe as they could get. Arrieta has some markers that suggest that he isn’t going to age particularly well. That said, he’s been quite healthy and even MLB average pitching, when done over 180+ innings, has a lot of value. I think the Phils got him on about as reasonable a contract as could be expected. Some risk there for sure but also reward of a legit #1 if Arrieta can continue to do what he’s been doing the last few years. Bailey, Castillo, Romano, Garrett, and Mahle. Like Cossack said, put Disco on the 60 day DL and not rush him back. When Finnegan does come back, put him in the pen. Like others here, I don’t think Bailey is going to hold up. Hopefully Lopez thrives at Louisville and he can be this season’s Castillo. I do think the Reds will be alright. At this point, the Reds management MUST assume that DeSclafani and Finnegan are prone to injuries. Without knowing the extent of Finnegan’s injury, I am probably overreacting, but I think this goes to the extent that these two can’t be counted upon as part of the next good Reds team — much to my chagrin. Part of the “sorting” process, perhaps. Are any of use still going to be here on the next good Reds team? I don’t think so if the same people are in charge. Finnegan won’t turn 25 for another few weeks- too early to count him out. 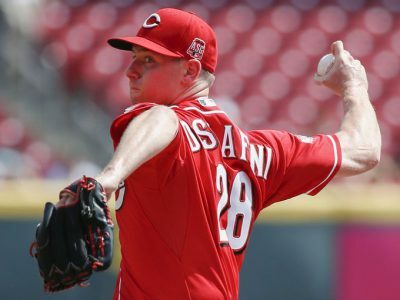 DeSclafani will become 28 in a few weeks-reoccurring injuries- time to try him in the bullpen. This is why I never give a mock rotation in ST. Have no faith Disco or Finnegan can consistently overcome injuries. I hope they do but I’ve read this book before. 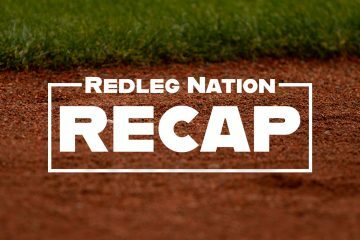 I posted a few days ago that the Reds were cutting too much hope on three injured starters being able to rejoin the staff. I was hoping for one to actually do it. We are now down to oneÃ¢â‚¬â€Bailey. Sadly, I am not confident that he can ever give the Reds much again. His arm is shot in my opinion. So it will need to be full speed ahead with the young armsÃ¢â‚¬â€-Castillo, Romano, Garrett, Mahle, and Stephenson. Bailey will begin the season as a starter but I am not confident he will be able to stay in the rotation. I’m curious as to what leads you to believe Bailey’s arm is “shot”. Is your opinion backed up by some sort of medical knowledge? Odds are that he will have sort of injury again, but there is no indication that his arm is going to spontaneously combust or fall off from what I see. With that being said I have no medical background or access to his medical staff so I could be completely wrong. Just my opinion from being a Reds for 57 years and seeing pitchers with arm injuries too many times. To be more specific, the first thing that goes when a pitcher has serious arm injuries is his controlÃ¢â‚¬â€not his speed. Bailey has been having trouble putting the ball where he wants it to be. I just donÃ¢â‚¬â„¢t think that is going to suddenly turn around. I hope Bailey comes around, but I am not counting on it. You are welcome to disagree but I will express my opinion on issues. BaileyÃ¢â‚¬â„¢s problem today, once again, was location. That has been his problem since returning. That is the tell-take indication of arm trouble. I am glad Bailey felt fine after todayÃ¢â‚¬â„¢s start. I will be skeptical until he regains location. It’s also the tell-tale sign of spring training. It’s time for Homer and the Kids. Let’s see what we got. Why not assume that the Reds med staff can’t/won’t keep pitchers healthy? I’ve been beating this drum since 2013. I know that pitchers get hurt, but you’d think that with the bad injuries that the Reds have had over the past few seasons, that the franchise would endeavor to keep players healthy. I don’t think they are doing enough. I have seen multiple complaints from former players about the Reds medical staff and observed numerous puzzling decisions with injuries so it does make me consider the fact that the Reds medical staff is not the best. However I can’t imagine they are causing all these injuries. I really hope it is more a case of bad luck and not incompetence. DeSclafani, Crawford, Lamb, Reed, Finnegan, Castillo, etc were all added to the organization. Lots of pitching prospects succumb to injury. Reds aren’t incompetent, but haven’t been very lucky either. I’m pretty sure that somebody posted–awhile ago–taht the Reds are middle of the pack in injury frequency. IÃ¢â‚¬â„¢m going to pile on to Finnegan here. You injure yourself on a boat, I read that he couldnÃ¢â‚¬â„¢t get his winter throwing sessions in because of bad weather (you ever heard of a gymnasium bruh? Ã¢â‚¬â€ every high school in the US has one), shows up this spring… well… nicely… IÃ¢â‚¬â„¢ll say well fed, and now suffers this injury. IÃ¢â‚¬â„¢m sorry, the kid clearly has moxy and whatnot, but I question the dedication. Moving along. And when he returns he goes to the Pen, for life. cut bait with this tubbo. Sick of players not taking care of themselves. Opportunity for Stephenson and Garrett now there for the taking. Sad for desclafani and Finnegan. I’d like to see mahle remain in AAA. Mahle clearly is one of the best starters, but best for both reds and mahle to continue to develop. Obviously, you want to hold off on Mahle as long as possible. This is more than a service clock issue. Mahle, much like Senzel, hasn’t spent a full season in AAA yet. Let’s make sure he’s ready. Castillo’s moxey is an aberration; kids generally need a full season in AAA. We don’t want another Cody Reed on our hands. And, yes, Finnegan to the pen–forever. He simply doesn’t have the body to hold up as a starter, or evidently the desire to turn his body into a starter’s body. Not taking up for Finnegan’s diary or exercise habits, I have no idea what they are, but you do know that Bartolo Colon and C C Sabbathi are not exactly examples of well sculpted bodies but have had pretty decent careers. Both good examples as well as one Aaron Harrang. As I recall, Johnny Cueto put on a good amount of weight while he was with the Reds and I don’t think too many on here were complaining. Cuetos work ethic was legendary. The running, the dedication, the not injuring himself on a boat. Never once did you here that Cueto wasnÃ¢â‚¬â„¢t taking care of business. Weight can be a good thing, sure. But in Finnegans case the context suggests this kid just doesnÃ¢â‚¬â„¢t have the commitment. There seems to be a lot of consternation about the boat. Which non-baseball related injury is acceptable? Do we expect these guys to stay in hermetically sealed cubes during the off-season? These injuries happen and are understandable as a one-off. Again, at the time I had no concerns about it. Life happens. But now, taken in context of everything else, it suggests a misprioritized young man. I’ve seen my share of “fat” yet remarkably effective pitchers. To add to the list: Terry Forster, Sid Fernandez, Livan Hernandez, Rick Reuschel, David Wells, Fernando Valenzuela and that’s just really quick off the top of my head. That is your rotation with Bailey being the opening-day starter. Start/keep all the kids—Hamilton 4th of.. Perazza 4th inf. I think your close. I would sub Stephenson for Mahle and Senzel will not be here until the service time issue is to the reds advantage. Lead Winker off with Perraza batting 8th playing SS. Also Gennett bats 5th and Suarez bats 2nd. A few issues with this line up. 2. Gennett hitting #2 against right-handed pitching is reasonable but not against lefties. Mesoraco should also likely play instead of Barnhart against left handed pitching. 3. I’m not sure Schebler can handle center field every day defensively. 4. Why Winker at #8? Do you remember Aaron Harang? A starter’s body is one that features stong legs and core, good mechanics and a limber arm. 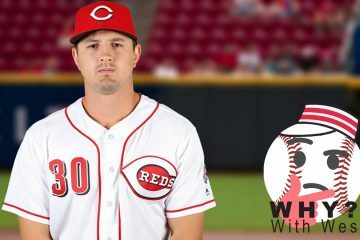 Does anyone at this site remember last season when Garrett went from being effective in Cinn, to demoted to AAA for a few weeks, & then returning to the Reds & being ineffective? Remember how Price & Williams had destroyed young Amir’s career ? Now it turns out Garrett had a shoulder injury- to some extent an unreported injury- which set him back last season. How about recent comments about how Lorenzen may have changed his delivery in response to injury & pain issues which developed in the 2nd half of 2017? Then there’s Okey who tried to play through unreported injuries last season. My point you ask? Finnegan reported the knot yesterday as it happened. No pain. So now let’s ban him to the bullpen for all eternity? Surely you jest. Garrett had a hip issue. Thankful it wasn’t a shoulder. I’ve always been concerned that Finnegan would struggle to stay healthy as a starter because of his max effort delivery. Those concerns remain, but it’s hard to give up on someone so young and talented as a starter. is anybody really surprised about this?he doesn’t have a starting pitchers physique. neither does hunter Greene. that is why he needs to be our next Barry Larkin. not a pitcher. Just curious, did you think guys like Pedro Martinez or Johnny Cueto had a “starting pitchers physique”? That’s the best thing about baseball. You don’t have to be big or tall…or necessarily fast or athletic. Disco works out hard and he’s still hurt. You would think Finnegan would come to camp in a little better shape, but he’s about the same as he was. Lorenzen is too big imo….he’s a pitcher and not a Bengals LB. Billy looks slightly bigger….maybe 165 now? I think he could benefit the most from adding some size/strength! That makes Billy approximately the same size as Wayne Gretzky and Thomas”Hitman” Hearns. David wells, CC Sabathia – big guys who were very effective. In fact, durability possibly related to their stature. This is not what I mean relative to how Finnegan showed up to camp. He looks out of shape (this is a phrase relative to conditioning, not to his biomorphic shape). Taken in isolation, from a proven veteran who has a baseball card worth of consistency, I shrug it off. But this is a guy fighting for a rotation spot, rehabbing a shoulder injury. No excuse. Cossacks & Old-School can help me, but batting order use to be 1 someone to get on base, 2 someone with bat control, 3 most consistent hitter, 4 power hitter & after that best you have left. It may not be according to the way it’s done now, but still looks right to me. Today’s lineup looks as close to an Opening Day lineup as we can hope for. Peraza at SS hitting 7th. Hamilton in CF hitting 8th. Who made this lineup for today? I think they put all name on a board, blindfolded Price & gave him 9 numbered darts & the lineup is the way the went. DeSclafani is the Tyler Eifert of MLB. Effective on the few times that he’s on the field. Yankees sign Neil Walker. I said all along that Scooter to the Yankees made sense, but that was before they decided to let Senzel try SS. I think Scooter might hang around longer then most thought and he’ll continue to hit righties well!